Our #30DayFlip participants rocked it last month with their amazing furniture flips. 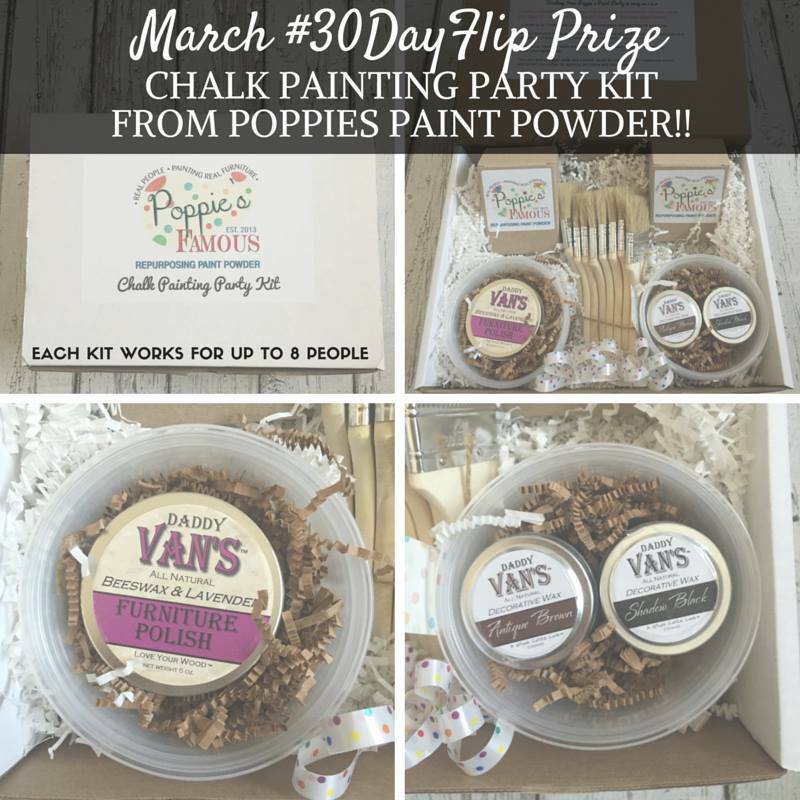 Our winner of the March #30dayflip Challenge is Colleen from Our Treasured Life blog. 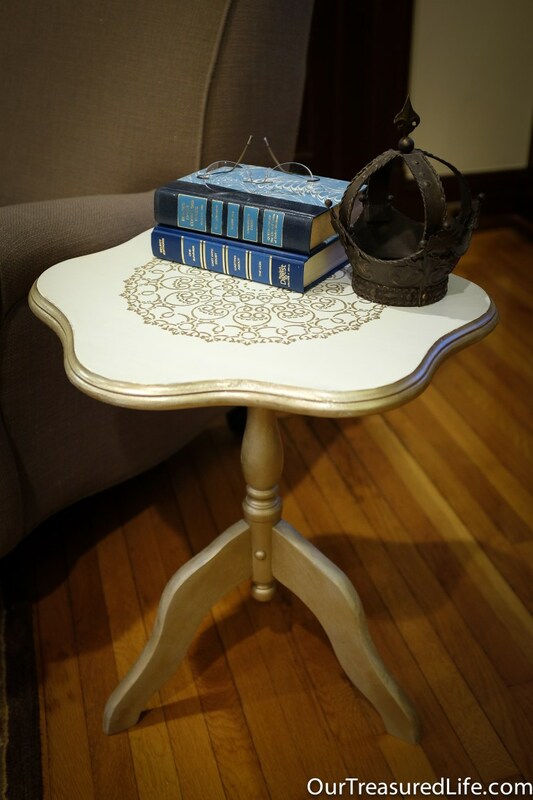 Colleen revamped this flip top side table into a unique and gorgeous accent piece, using champagne and gold acrylic paint. She also added a stunning doilie inspired stencil on the top for just the right amount of charm. 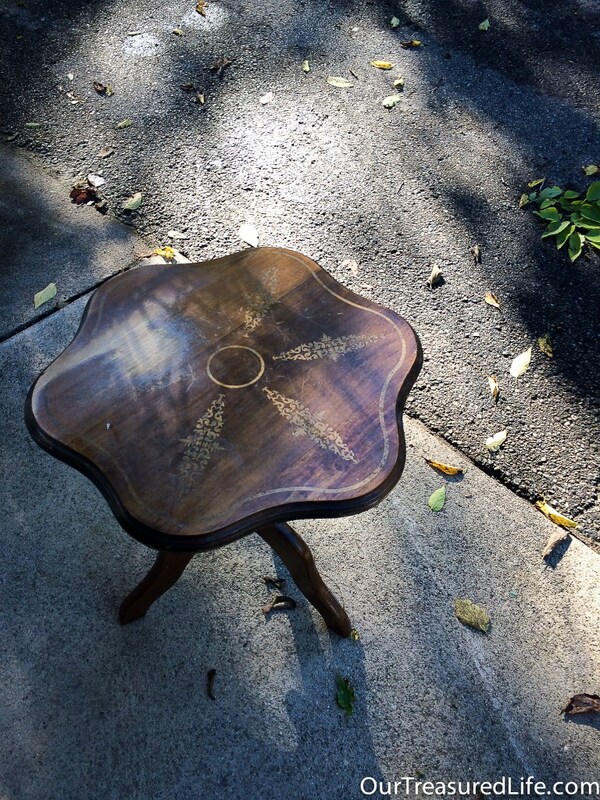 We love this side table furniture flip Colleen. Wonderful job!!!! 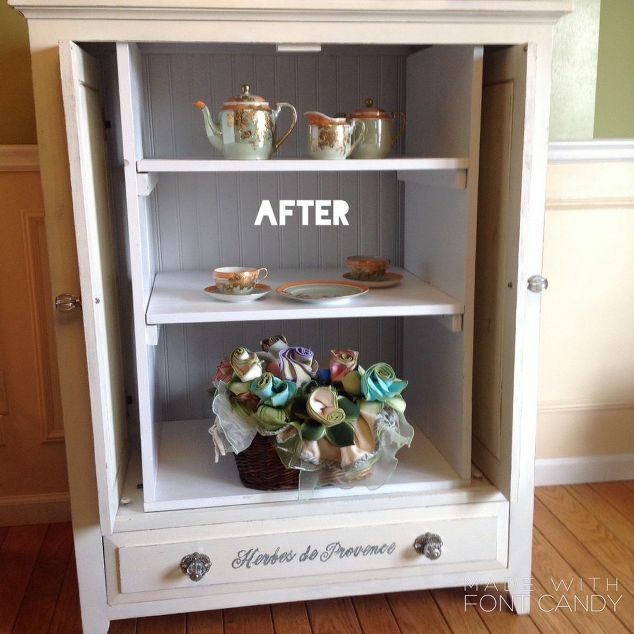 COLLEEN’S PROJECT SUMMARY: For the top, painted two coats of my go-to antique white latex paint. Next I carefully taped down the stencil and using a round stencil brush and Champagne Gold acrylic paint, stenciled the Doily design on the top. After I was done stenciling, I carefully removed the stencil and waited for my paint to dry overnight. Check out the full blog post and tutorial on Colleen’s blog here. And a huge CONGRATS again to Colleen! Pili from the My Sweet Things blog transformed this old wine rack into a chic and sophisticated bar cart that matches her light and airy decor. She even added hidden wheels to the newly constructed base to make it easy to move around. Totally rad flip Pili! 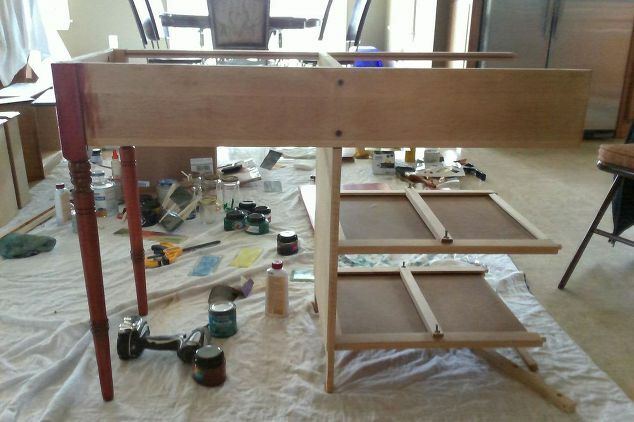 PILI’S PROJECT SUMMARY: My husband fell in love with this wine rack about 12 years ago, and it has moved with us twice… I always had the hope it could get lost in one of those moves, but unfortunately, it didn’t. So here it was, in front of me, and I decided it needed “something”. The most annoying thing about it (apart from the eyesore) is when I had to move it to clean. It is heavy and this means I needed to pull it, and then it made a horrible noise. Casters, it needed some casters… but where, how?? I took a piece of laminate wood, measured the legs and planned to drill some holes to make them sit on the wood. 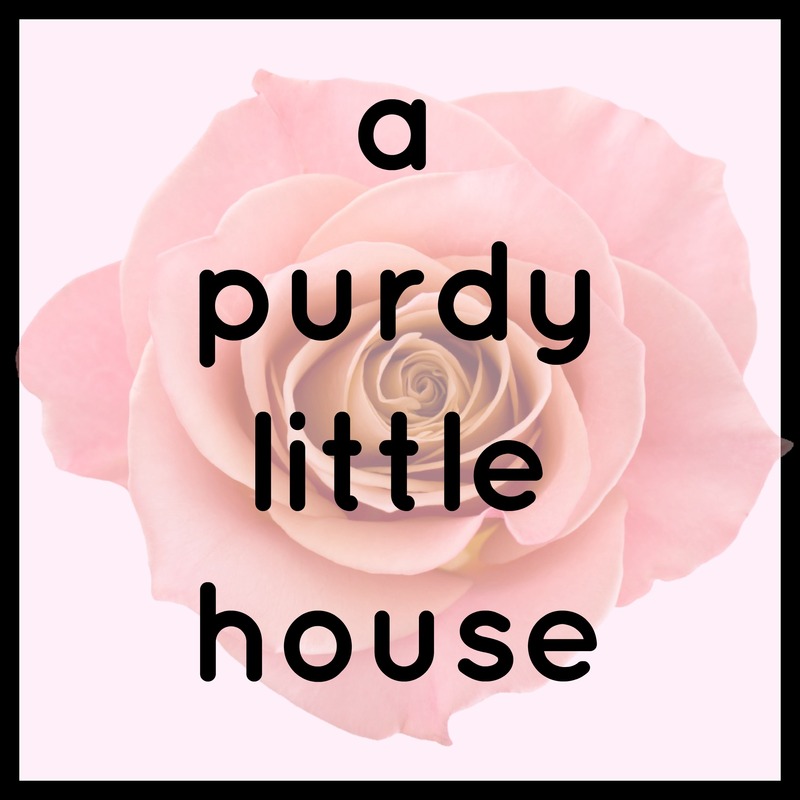 Check out Pili’s full blog post and tutorial here. 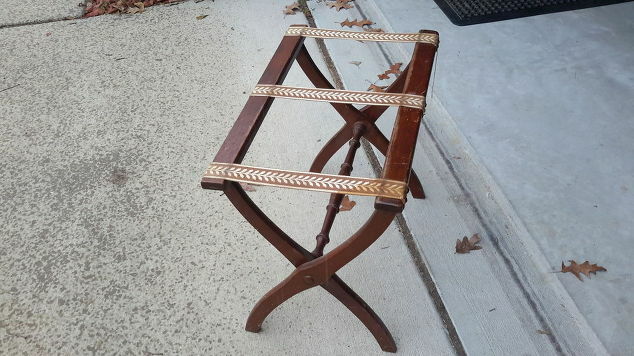 Christina from Roughly Refined Furniture turned this old luggage rack into a classic and elegant end table using a herringbone pattern for the top. Amazing job Christina! 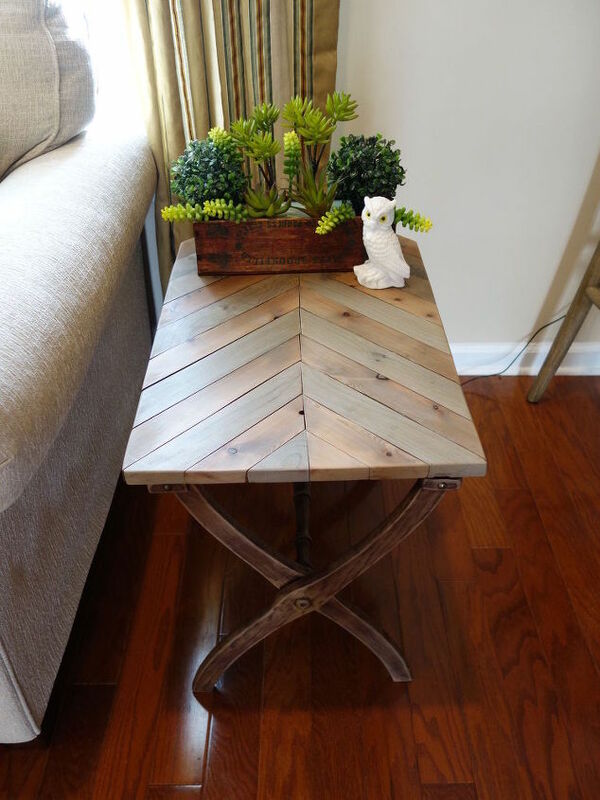 CHRISTINA’S PROJECT SUMMARY: I had never done herringbone before, so I started by cutting my 1/4 inch plywood for my base, I cut it a little shorter than I wanted my top so it would not show underneath. I drew a line down the middle and I started with the middle pieces of wood and started cutting my 45 degree angles. On this piece I figured out my lengths and pattern as I went. You can see the 3rd board from the top had to get pieced back together, as I was running out of wood. Improvise to get what you want 🙂 Its barely noticeable once stained. To check out Christina’s full project post, click here. 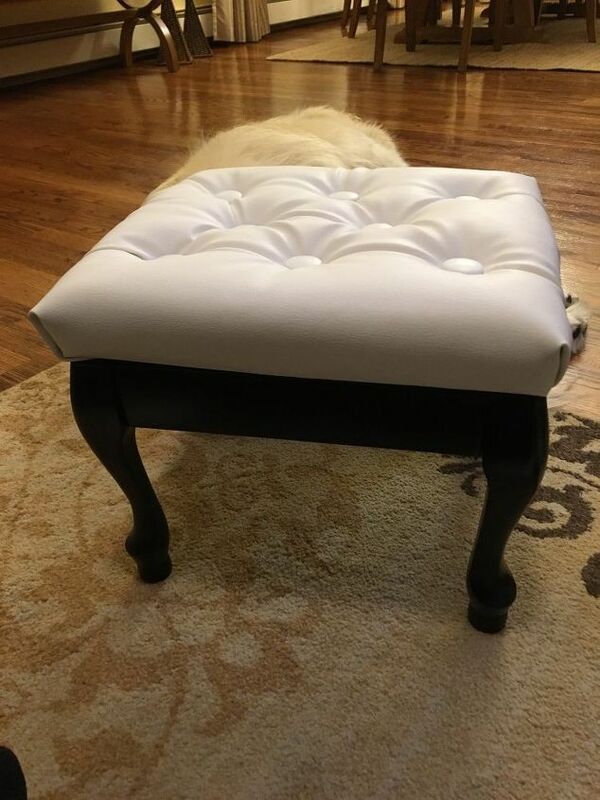 Debra from the blog Discovering DIY and So Much More turned this roadside gem of an ottoman into an amazingly cool piece fit for a rockstar!!!! I’m loving the white vinyl! DEBRA’S PROJECT SUMMARY:I cut out a piece of foam and laid it onto my material. For the material I used a leftover piece of white vinyl. I knew that I wanted it to be tufted, so I got out my button making kit. After figuring where I would place them and how many I would use, I cut out the circles and pressed them into the buttons. 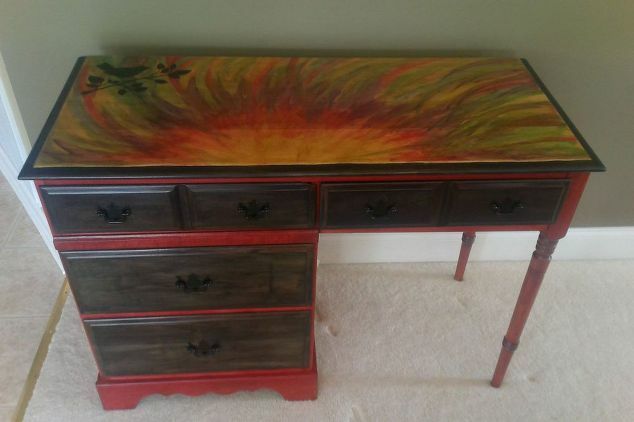 Check out Debra’s full project details here. 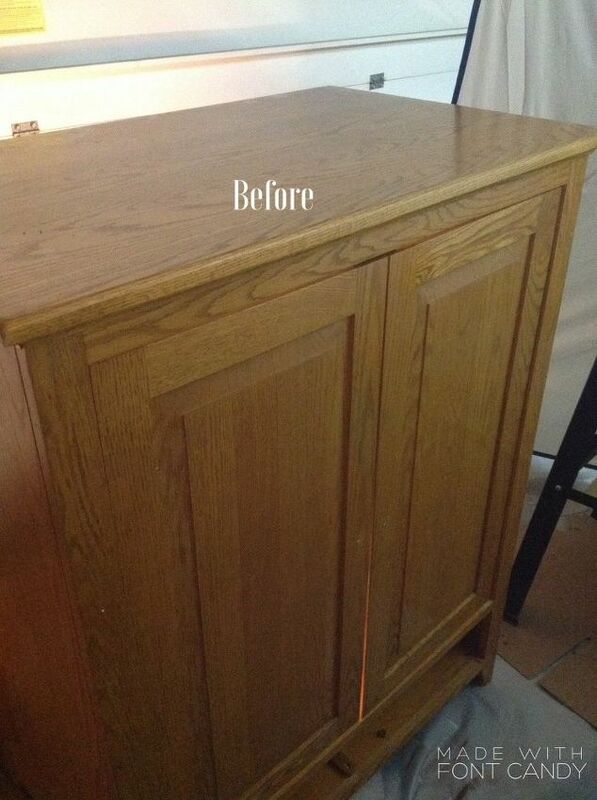 Pat from the DIY Forum revamped this old TV stand that her brother was going to trash, into a gorgeous French Country styled cabinet for her dining room. Holy cow; this one is a stunner! 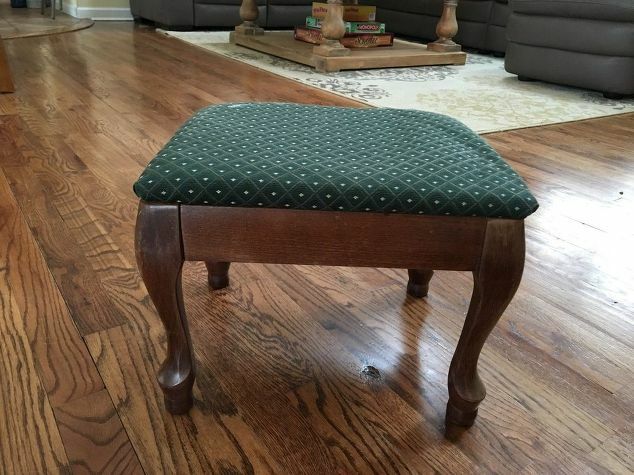 PAT’S PROJECT SUMMARY: I love to save old furniture! So when my brother was getting rid of his old TV cabinet, I knew that I could make it into something useful. I love this new china cabinet in my dining room! To check out Pat’s full project and tutorial, click here. CORRY’S PROJECT SUMMARY: Apply the Unicorn SPiT to the bare wood with your SPiT Syringe and fingers (by dipping them into the jar) and starting at the bottom center apply the SPiT in a rainbow shape starting with Lemon Kiss. Use your palm to move the SPiT up and curve right until it is all spread out. Add Phoenix Fire SPiT again in a rainbow shape and push up and to the right with your palm until it is spread out. Repeat this step with Molly Red Pepper. Now fill in the empty spaces with Purple Hill Majesty, Dragonsbelly, and Blue Thunder. Come back and fill in any other blank spaces with the original colors to blend. Apply Midnight’s Blackness to the edge of the desk. To check out Corry’s full project tutorial, click here. 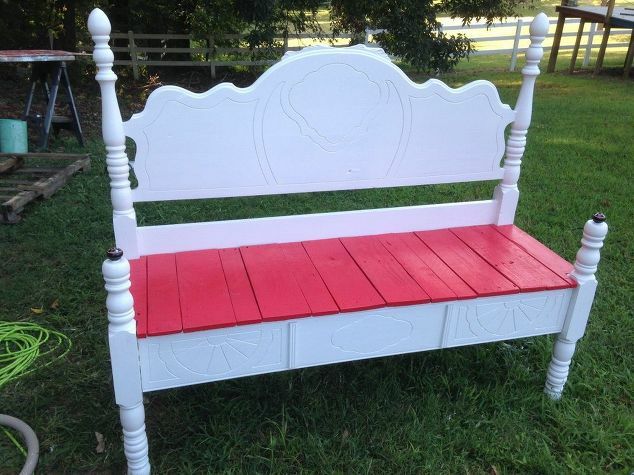 Ozzys Girl from the DIY Forum turned a dusty old antique headboard & footboard into a one-of-a-kind bench using paint, pallets and some serious DIY skills. Great work Ozzys Girl! 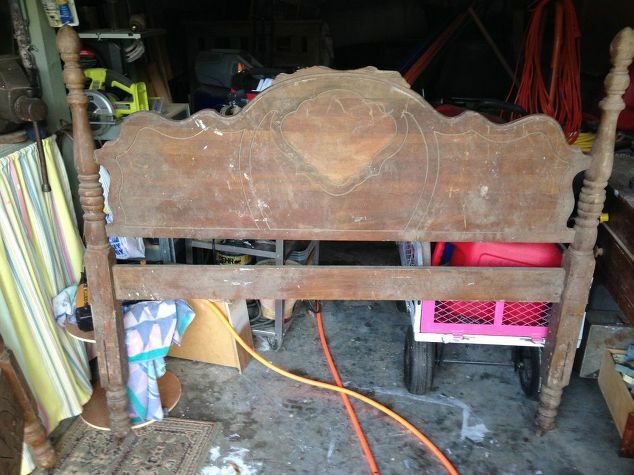 OZZYS GIRL’S PROJECT SUMMARY: I found the headboard in an old house that was going to be torn down…. I built the seat frame and cut down the footboard. I flipped the footboard over so this is the bottom where the wheels were and filled in the seat with pallet wood. To check out Ozzys Girl’s full project post, click here. 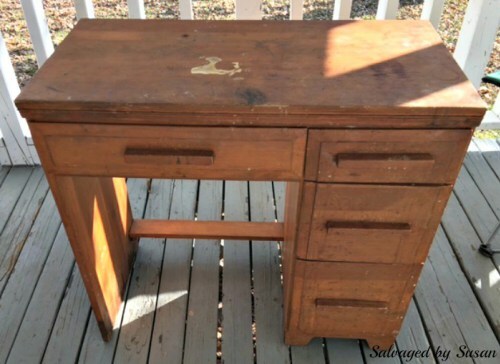 Susan from the blog Salvaged by Susan turned this unloved desk into a vintage beauty using her DIY vinegar stain and DIY chalk paint. 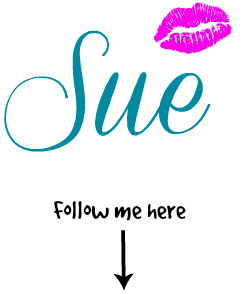 I think you might just be my DIY hero Susan! 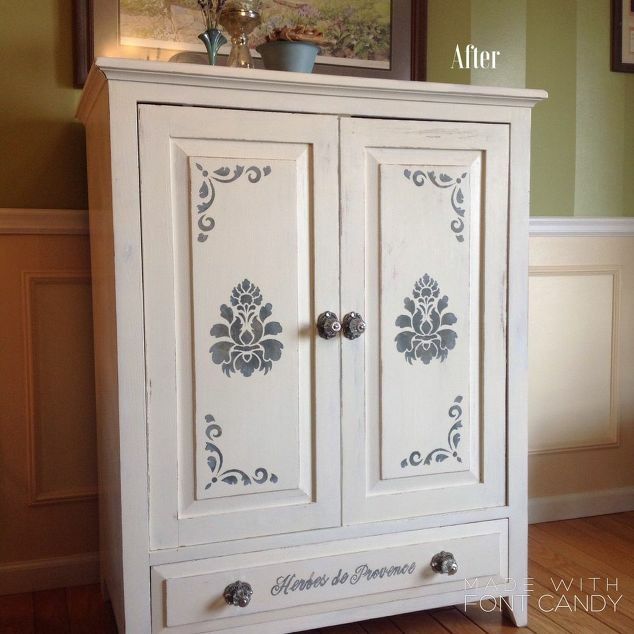 SUSAN’S PROJECT SUMMARY: I painted the base with my DIY chalk paint. Then I dry brushed it all over with a lighter and darker paint. The dry brushing added a little dimension and it also helped the desk keep it’s vintage-y feel. I opted to keep a few imperfections on the top because I think it adds character to a piece. The dry brushing and slight distressing helped tie it all together. 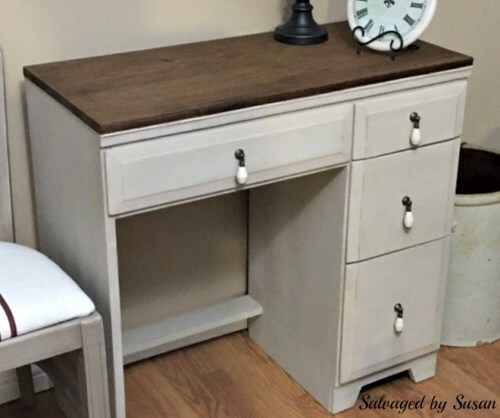 To check out Susan’s full project post, click here. I would like to thank all the wonderful members of the DIY Forum and the #30dayflip who participated in the March Challenge. If you haven’t yet joined the DIY Forum on Facebook, and you love DIY, furniture makeovers, crafts, full room makeovers and gathering with like-minded people, just click below to request to Join. Thanks goes out to the lovely Jeanette at Snazzy Little Things, who is sponsoring this month’s giveaway, where the winner will receive an item (up to $50 in value) from her amazing shop! Check out all the gorgeous items from Jeanette shop here. Please note: If the winner is not in the U.S. they will receive an Amazon gift card. 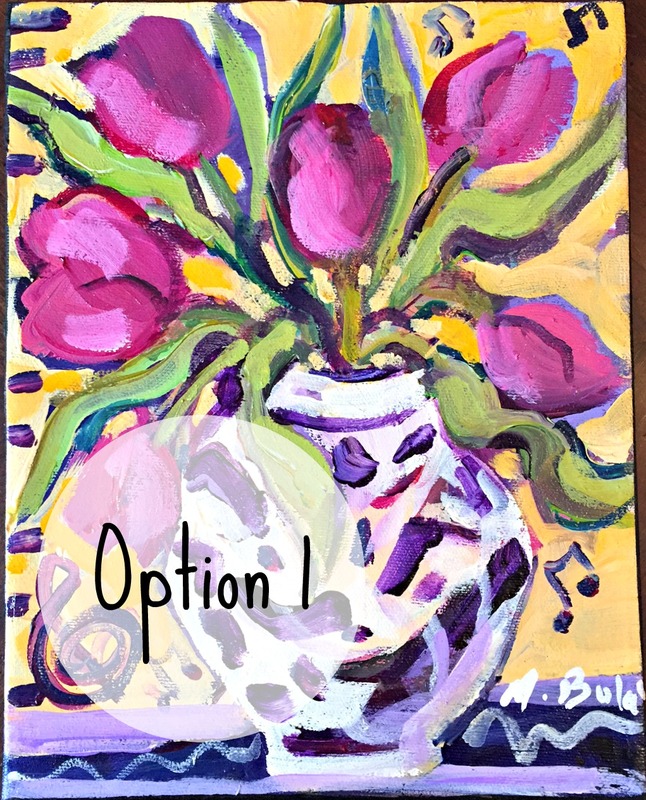 Also, in addition to Jeanette’s sponsorship, the winner will also get to choose one of two original 8 x 10 paintings on canvas by renowned artist, Marlene Bulas. Marlene’s art has been featured in many of the top galleries across North America, as well as in magazines and postcards. She has traveled the world with brush and paper in hand to capture many of the works in her exclusive collection. 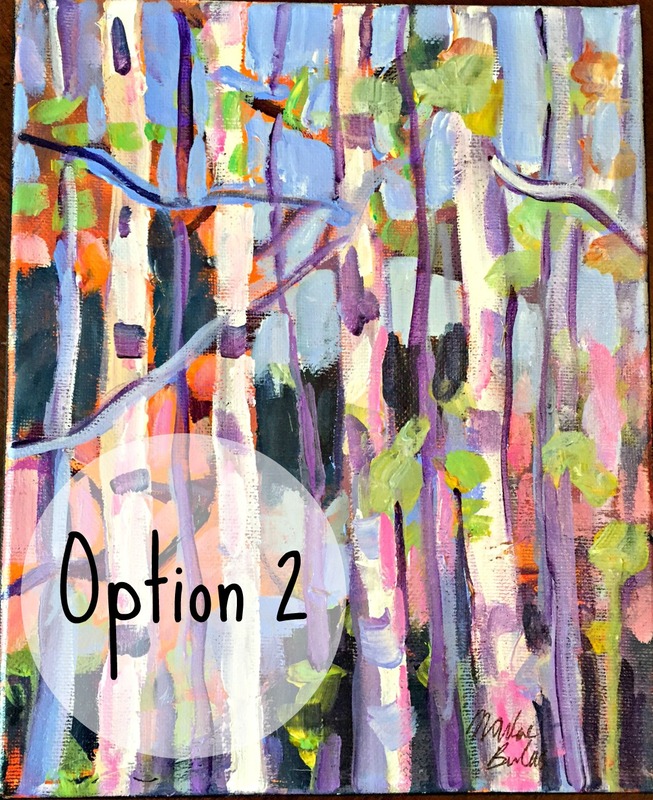 The two paintings the winner can select from are done in very different styles, meant to suit any decor. Each 8 x 10 original painting retails for $150.00, and will be shipped to the winner with the canvas intact. The painting can be easily removed from the canvas if the winner wishes to put it behind glass in a frame. To check out Marlene’s gallery, check out Sunninghill Art. Thank you to Marlene and Jeanette for sponsoring the April Giveaway. 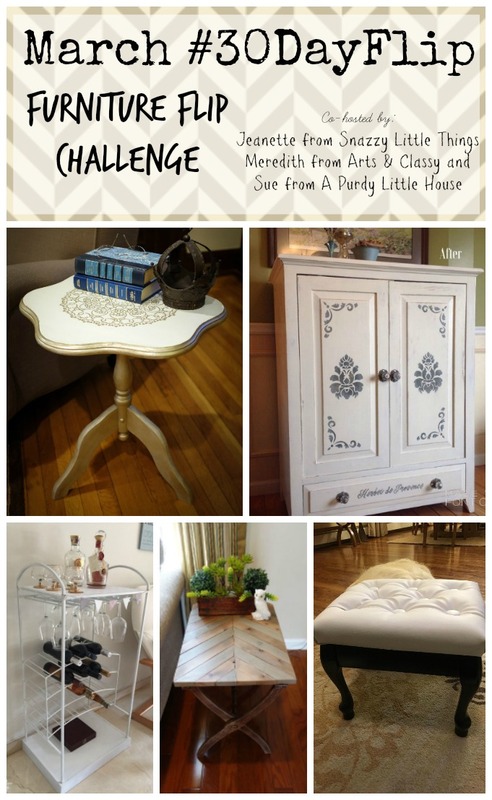 Be sure to join us for the April Furniture Flip Challenge, where you can strut your DIY skills and create any form of art you like. Don’t forget to also post your project on Hometalk using the #30dayflip hashtag for a chance to be featured on all three of our blogs.